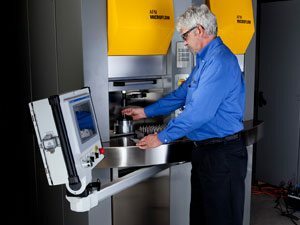 Deburring: Removes burrs at bore exits and at intersected holes in a workpiece caused by drilling. Polishing: Optimizes the surface characteristics of the workpiece. Deflashing: Removes zinc, zamac, or aluminium die cast mold flashing. Decontamination: Removes machining particles trapped in hidden areas. Flow Tuning: Creates a defined flow resistance through an orifice. Surface Stress Relief: Smooths critical fatigue points and removes stress risers. 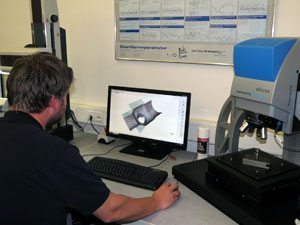 EXTRUDE HONE PRECISION FINISHING PROCESSES. 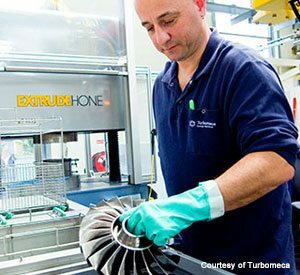 Extrude Hone finishing processes are designed to handle the most demanding manufacturing challenges and performance objectives for component surfaces. In fact, any surface that meets fluid, fuel, and airflow can be improved through our finishing technologies.